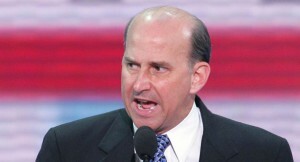 Louie Gohmert for Senate? That’s what a number of Texas tea-party activists are hoping for according to The National Review. They’re not happy with Senator John Cornyn, and Katrina Pierson, who serves on the Texas Tea Party Caucus Advisory Board, tells me she’s heard from a number of activists pushing for the outspoken East Texas congressman to challenge the senator. And JoAnn: Fleming, the executive director of East Texas—based Grassroots America We The People, says she’s hearing the same thing. She knows Gohmert personally and says she’s had numerous activists tell her she should ask the congressman to run. Pierson and Fleming both told me that the grassroots activists they’re hearing from have numerous concerns with Cornyn’s record, but they’re especially frustrated that he withdrew support for Senator Mike Lee’s efforts to defund the Affordable Care Act [Obamacae]in this fall’s continuing resolution. 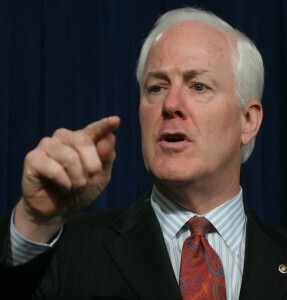 Fleming says that Cornyn’s opposition to Lee’s efforts will lose him votes in a potential primary. Louie Gohmert is a fine Constitutional conservative with backbone to fight against radical Leftists that has taken over the Democrat Party.